Valuable and research-backed content positions you as a person of authority and educates your audience. Not to mention, it humanizes your brand while gently tugging at the emotional strings of your prospectives. And, that’s exactly how I write. I don’t just mix and match works to deliver meh content to you. I add a sprinkle of storytelling to my work so that your audience is engaged and you’re left with a wide smile. In the online sphere, SEO and content are best buddies. Content without keywords has little chance of being found. On the flip side, SEO needs words to give it a landing platform. Therefore, I work to blend keywords within the content subtly and strategically so that you have a keyword-enriched write-up at the ready. If you are a jack of all trades and DIY most of your business-related work, then you here’s a salute from my side to you. However, if you’ve too much on your plate lately and feel like you’re edging close to a burnout, then I’ve got you covered. I can take up unfinished or unpolished content and finalize it. 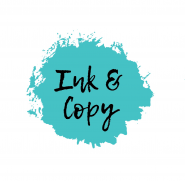 I’ll convert the faded, wordy content into a polished copy with supportive visuals along with formatting it for readability.